As teens begin a new school year, we have the opportunity to help them start strong and stay on track toward academic success. We all know the importance of academic achievement in shaping the minds of our children, giving them a competitive edge to further their education and to better prepare them for future careers. In addition, research shows there are health benefits as well—as young people who achieve higher grades in the classroom also don’t use drugs. 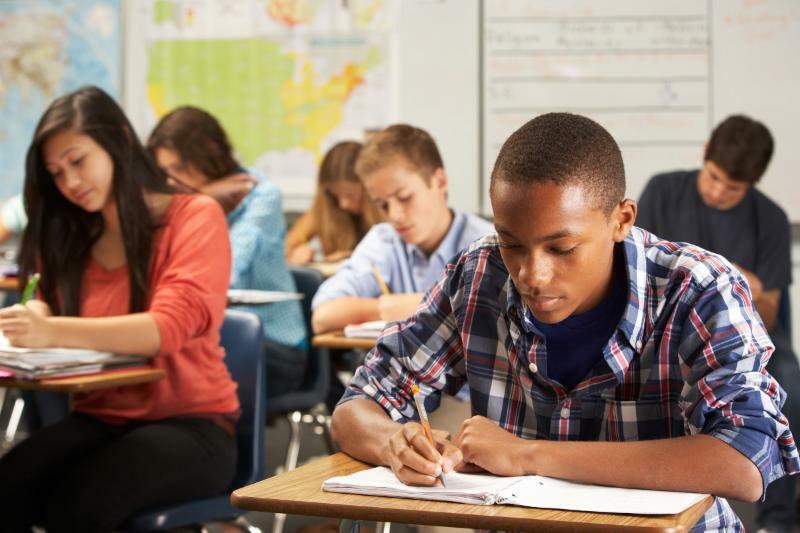 A past national Youth Risk Behavior Survey (YRBS) showed that students with higher grades were significantly less likely to drink, smoke marijuana, or abuse prescription drugs. This association doesn’t prove causation, but it certainly provides families even greater motivation to make academic achievement a priority as it further sets young people up for success later in life. Have them make a checklist of what they need to bring to and from school each day, then post it on whatever door they head out of each morning. Help them develop a system of keeping track of and organizing in-school and at-home assignments. Have them track assignments on a monthly calendar and teach them to work backwards from the due date to break it down into smaller, nightly tasks. Work with your child to figure out how much time is being spent on homework weekly and help them divide that time into manageable chunks. With your child’s input, choose a specific time block each afternoon or evening for studying and homework, and help your child stick to it. Have your child write down all the things he or she needs to get done, including non-school-related items and activities. Ask your child to label each task from 1 to 3, with 1 being the most important. If your child is labeling all social activities as 1, you’ll need to help them refocus and readjust their list to better prioritize for academic success. Have your teen then rearrange the list so that the 1s are at the top. Be sure they check the items off the list as they complete them—it feels good and is a real motivator to keep going! 4. Concentration: Designate an area for homework and studying that is free from interruptions and distractions, which typically means no phone, no TV, no playing games or checking social media on the computer, and—depending on your household—it may also mean keeping siblings out of this workspace as well. If your son is learning about percentages, ask him to figure out the price of a discounted pair of Jordan or Huarache shoes. If your daughter is passionate about music, give her books about musicians and help her learn the connections between music and foreign languages. It’s about finding the drive to accomplish a goal. Give your child control and choices. With guidance, let them be the one to determine their study hours and organizing system. Encourage your child to share their expertise. It is motivating for them to be able to teach you something. Be sure to hand out plenty of praise, give them pats on the back, and sincerely celebrate their successes! It takes a combination of skills—organization, time management, prioritization, concentration and motivation—to achieve academic success. You know your child better than anyone. Work with them to identify problem areas, focus on the skills that need strengthened, and strive to help your son or daughter maintain the ones they’ve mastered. With your support and guidance, your child will be better prepared to start the school year off strong and remain on the road to success, both in and out of the classroom. Sources: Centers for Disease Prevention and Control: Alcohol and Other Drug Use and Academic Achievement - 2009 National Youth Risk Behavior Survey (YRBS). GreatSchools.org: Parenting – Smart Strategies - 5 key skills for academic success. February 20, 2016. Click here to print this article and start talking with your child. Share this Know! Parent Tip with your friends and family! Talking regularly with youth about the dangers of alcohol, tobacco, and other drugs reduces their risk of using in the first place. Know! encourages you to share this Parent Tip with friends and family.